I will be the first to admit I’ve been a bit neglectful of my hands and nails over the last few years. I used to have time to worry about nail polish, my cuticles, and moisturizing my hands but the more my girls needed me the less I had time to put into extra beauty routines. If you’re a mom, can you relate? It wasn’t until earlier this year when I started using Color Street Nails that I even thought about moisturizing my cuticles. Thankfully, because I’ve been taking collagen (get yours here) regularly my nails have stayed strong but my cuticles were dry. Since I’ve got a drawer full of essential oils I thought I would find some DIY nail serums to try and share with you. I discovered lavender essential oil and jojoba oil can strengthen weak, brittle nails when applied daily. Other oils with strengthening properties include lemon, frankincense, and myrrh oils. These oils restore moisture to reduce breakage and thinning. Other plant oils you could try would be almond oil, sunflower oil, olive oil, or coconut oil to help heal dry cracked cuticles and nails. Massage any one of these oils into the nails and cuticles daily or before bedtime. Nail polish removers can dry your nails and cuticles especially ones with acetone but I’ve had trouble finding a good one that takes off the polish without toxins. A friend referred me to this remover. It contains organic lavender and soybean oil and is free from toxins, acetone, and alcohol which can dry out your skin and damage your nails. There is also a tea tree and non-scented formula if you don’t like the smell of lavender. Here are some recipes you can try to help keep your cuticles moisturized and strengthen your nails. Wash your hands with a natural soap then apply the serum to your cuticles and nail beds. Massage into your nails before bed. Put the ingredients into a roller bottle and shake before using. Add essential oils to 1 oz dropper bottle. Cut vitamin E capsules open and squeeze into the bottle. Fill the remaining space of the bottle with fractionated coconut oil (you could use jojoba or avocado oil instead). Screw the lid on and shake to combine. Whipped Green Girl has a recipe for helping our nails grow that will also soften your cuticles, too. Watch her video to discover what ingredients she uses. Whip up one of these recipes to help strengthen your nails and soften your cuticles. If you try any of the DIY Serums let me know how they work for you. I’m going to have to try that nail polish remover. I feel like the regular removers dry out my nails and cuticles quite a bit. I’m excited to mix up one of these recipes too! Thanks so much for sharing! 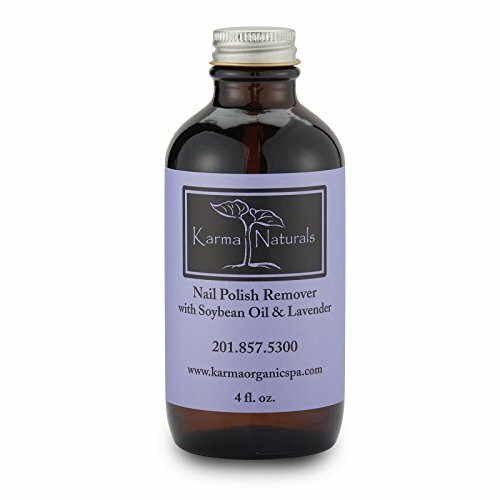 The nail polish remover takes a little getting used to because it doesn’t seem like it will work. It’s rather oily and you don’t have to use as much as the regular polish remover. At first, I used way more than I should have. The secret is to saturate the cotton ball, hold it on the nail polish and let it sit for about 30 seconds, then with gentle pressure rub off. You can use this same cotton ball for several nails without needing more remover. It works really great on the Color Street Nail Polish strips.